What is better than enjoying your favorite food and drink when out and about? -Enjoying your favorite food and drink in the comfort of your own home!! There have been so many times while dining out with my husband and children and they've asked me if I thought I could recreate their dish at home. Of course, the answer is yes! The thought of recreating a dish at home can be quite intimidating - but it doesn't have to be! No matter what dish, dessert, or drink you are recreating, start with the basics. Note the flavors and textures found in the dish you are trying to duplicate and go from there. The trick to making a copycat recipe is to taste, taste, taste! Make sure your flavors are developing the way they should and make sure the texture is how you remember!! In my experience, a good copycat recipe can come out even better than a great original recipe. With that being said, these food bloggers have done the work for you. With over 50 copycat recipes in this list you're sure to find quite a few recipes that you would love to make at home. Louisiana Chicken Pasta Cheesecake Factory Copycat from What's In The Pan? Black Pepper Chicken (Panda Express Copycat) from Savory Bites Recipes! My favorite is the Oriental chicken salad! Can’t wait to make it at home. Yes! It’s so simple, too! What an awesome round up, I can’t wait to share this with others! Just pinned this! So many recipes I want to try. You have covered almost all of my favorites. What a tasty collection of copycats! 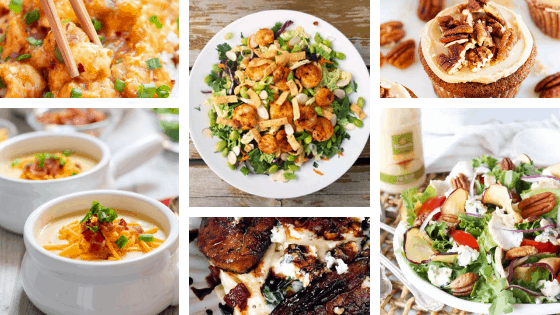 This is a great collection of copycat recipes. Can’t wait to try them all! I love a good copycat recipe. My favorite is my Chili’s copycat salsa. Just like the restaurant recipe! Wow, what a awesome collection of copycat recipes! Everything looks so delicious!